Care For Moms provides prenatal birth doula and postpartum doula services, in-home postpartum help, maternal education, and health and wellness resources to support the whole mom. We believe that when a mother’s needs are met, her entire family will function better. In fact, dads and siblings report that they feel much more included in life with a new baby when they have in-home doula support. We assist moms with basic baby care, breastfeeding support, light housework, errands, meal preparation, toddler care and more so she can focus their attention on getting some extra sleep and bonding with her baby. No matter the situation or specific need may be, whether birth doula support during pregnancy, postpartum care for a new mom, care after cesarean section, or the busy mom– we are here to help! Think of us as your educational resource, birth doula, postpartum doula, housekeeper and personal assistant wrapped into one! And because no family’s needs are the same, Care For Moms provide flexible and customized care tailored to your needs. Life with a new baby is so much better when you aren’t running on empty! Why is Prenatal and Postnatal Care Important? Becoming a mother is a magnificent and transformative event for many women. However, too often in her joy of welcoming a new baby to the family, mothers tend to neglect their own needs. When moms ignore their own physical and emotional wellbeing, it can lead to sickness, depression, stress and long-term physical side effects. Research has shown that direct support in the home plays a role in decreasing postpartum depression as well as increasing the commitment to breastfeeding. There is a Native American proverb that says, “It takes a whole village to raise a child.” The trouble is that many women today no longer have a village. Becoming a mom brings truth and weight to this proverb. Care For Moms supports parents with educational resources, encouragement and care so that they may experience more joy and less uncertainty and exhaustion. We strive to be wise like mothers, hard working as sisters, and caring as best friends. 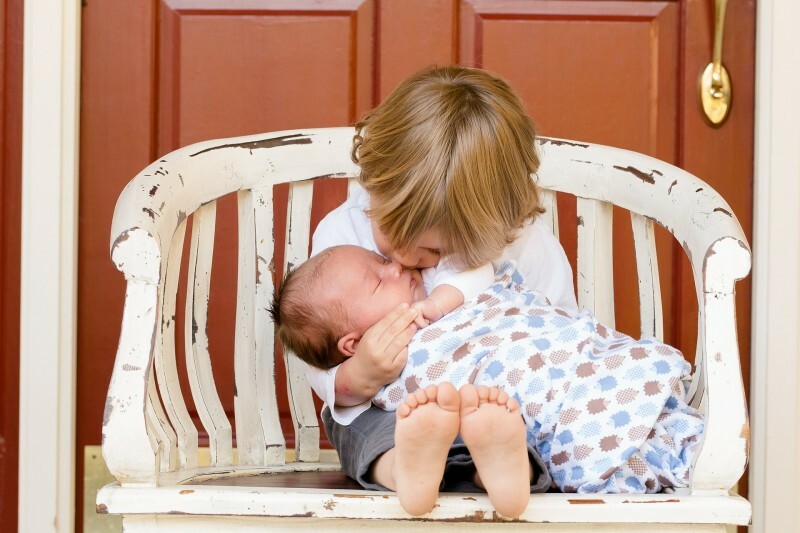 What is the Difference Between a Baby Nanny and Postpartum Doula? A nanny or baby nurse is focused on the baby. They will help with holding, feeding, burping, changing, bathing, or any other need of the baby. A postpartum doula is focused on the family as a whole. A postpartum doula helps with the needs of the baby, and she also looks after the needs of a new mom: making sure she is rested, fed and hydrated. When a new mom’s needs are met, she can focus on bonding with her baby. Something to remember is that moms also need help and care after giving birth. Whether you have a vaginal birth or a cesarean section, your body needs time to rest and heal. Having someone to help, not only with the needs of a new baby, but also with the practical matters of life assures that the postpartum period goes more smoothly. A postpartum doula is an emotional, physical and spiritual support, as well as an advocate, for the new parents and their baby. Did you Know You Can Register with Care For Moms as a Baby Shower gift? Moms tell us that a Care For Moms package was the best gift they received from their baby shower. The registry process is simple and you can schedule your visits at any time! 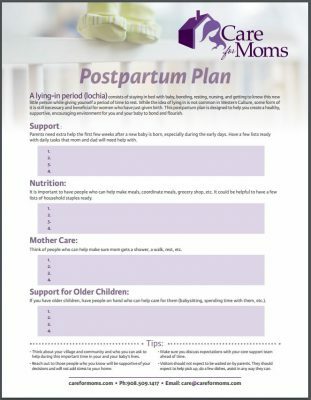 Get Your Free Postpartum Plan!